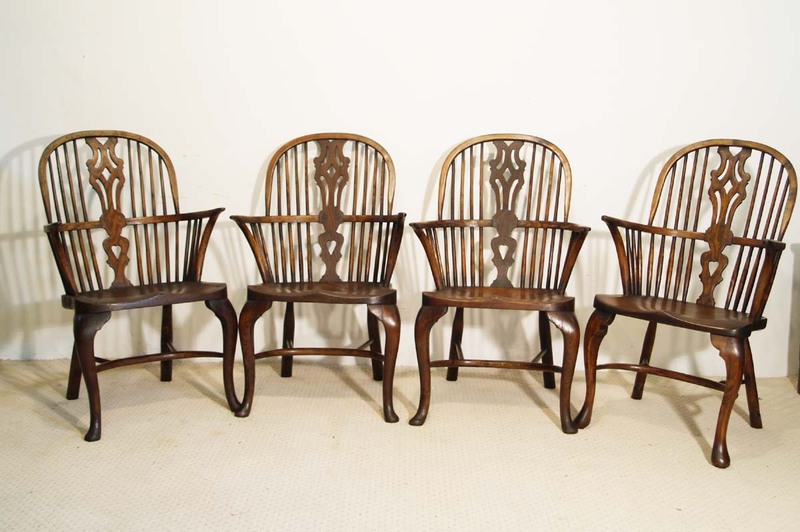 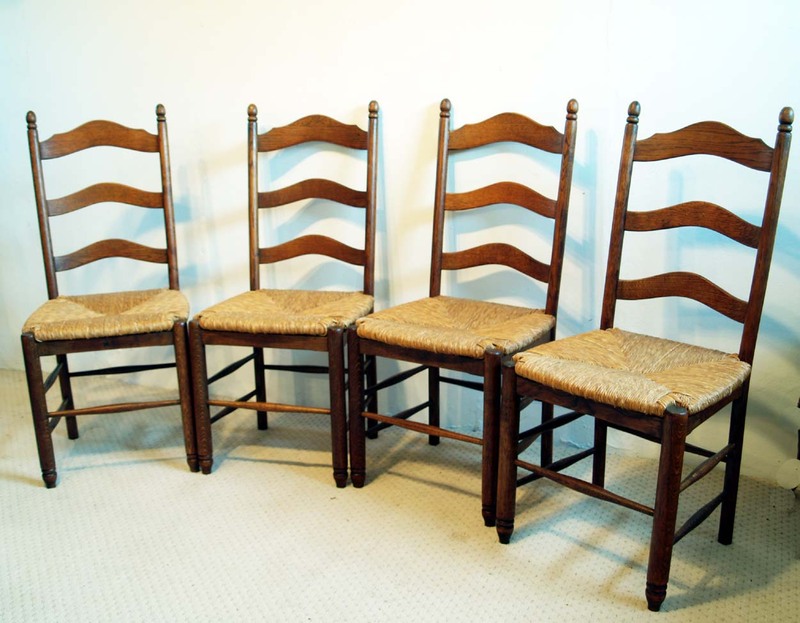 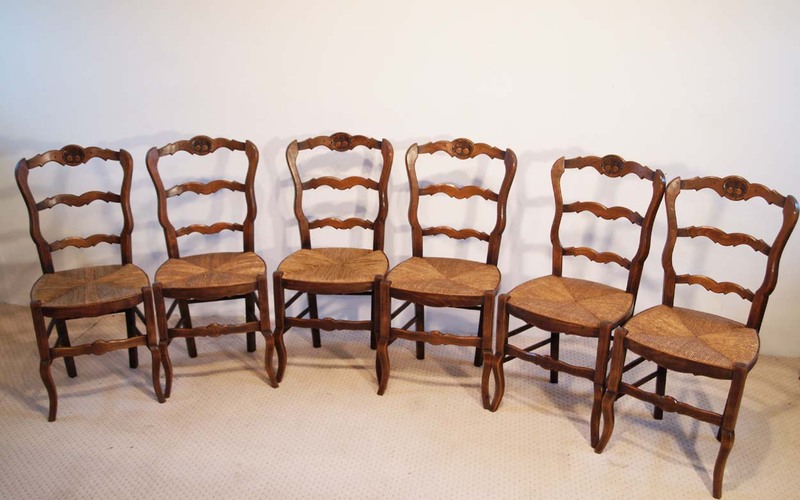 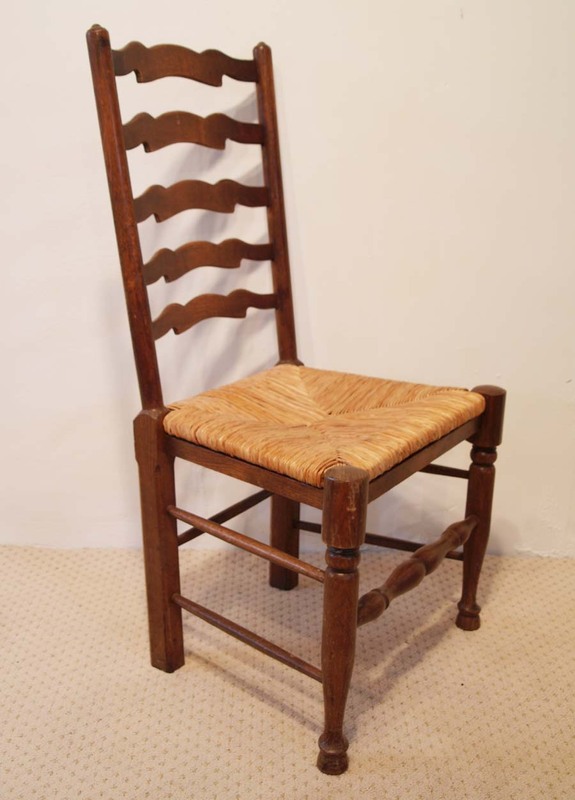 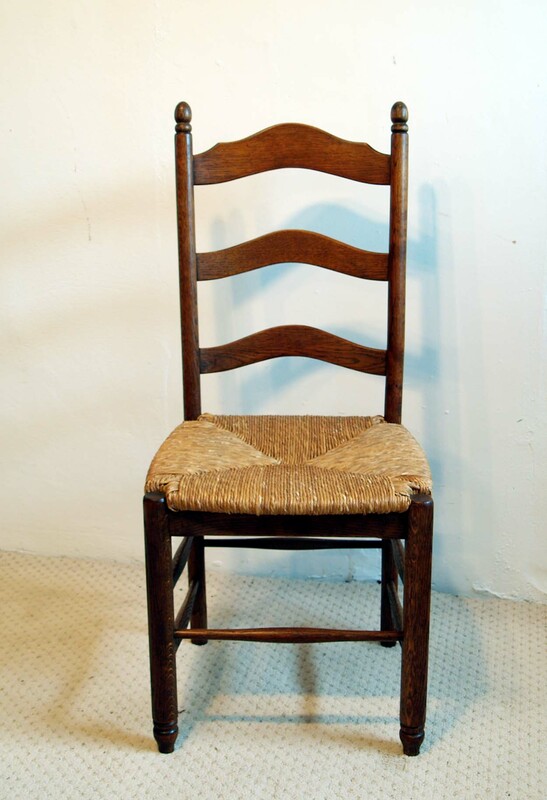 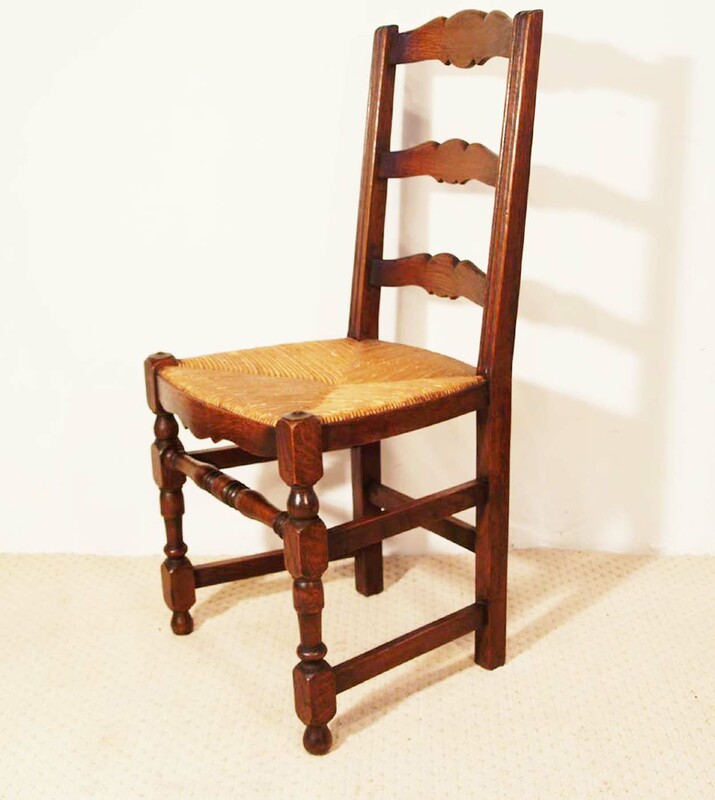 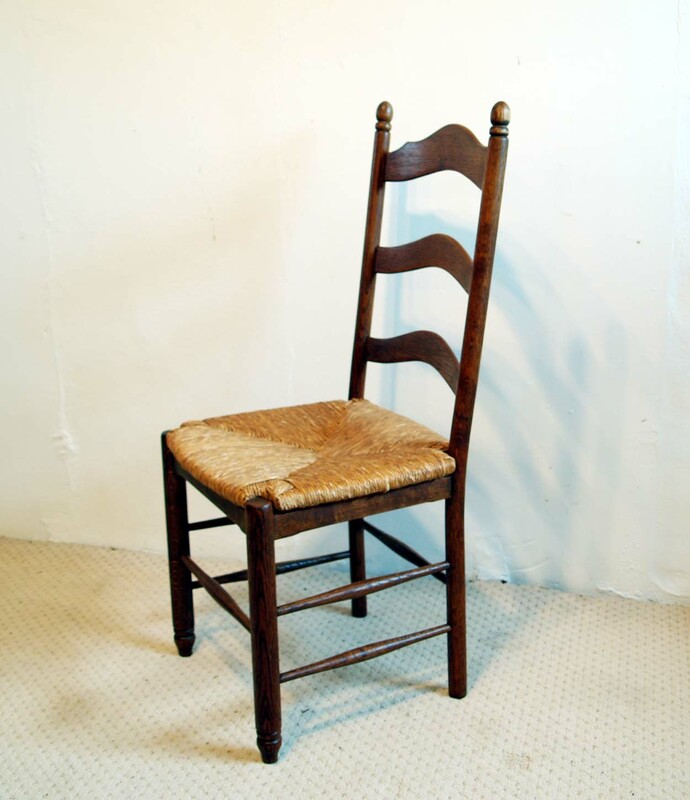 A set of 4 French antique shaker style chairs, built in oak. 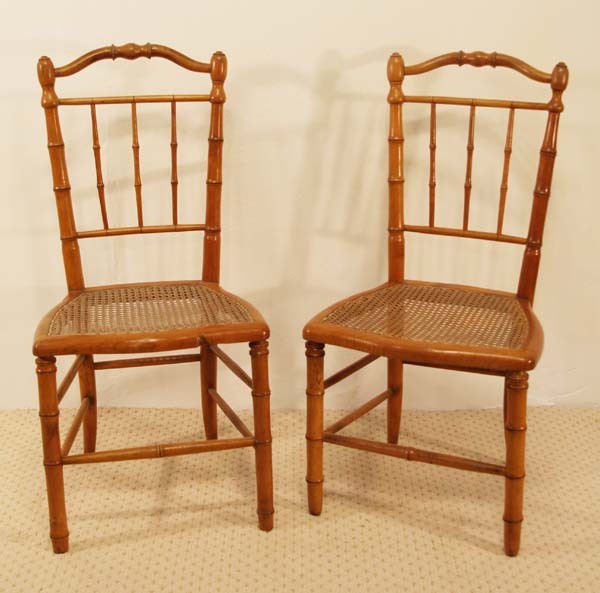 Although appearing to be delicate, these are a robust chairs, which also have generous dimensions. 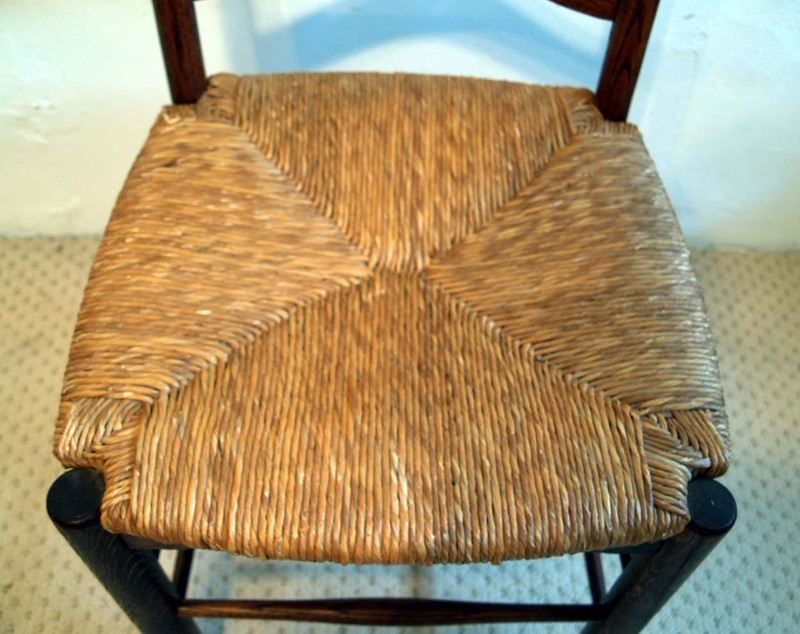 The seats are rushed in a more complex pattern to the normal style of rushing. 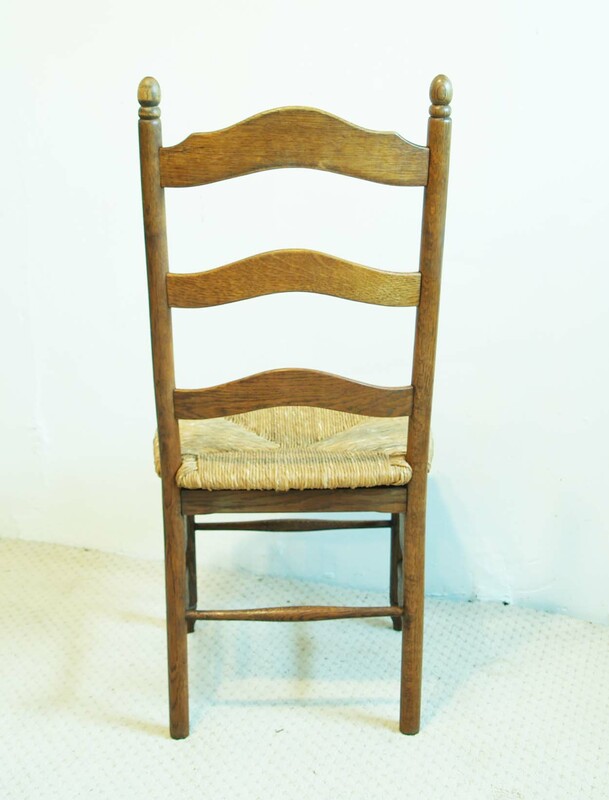 A good set of well balanced chairs, which can be used around either a Dining or Farmhouse table.